I just added a subscription to my Facebook calendar to my Google Calendar. I can't say, but knowing how it works I found documentation updated in Sept 2014. So it might be new. I briefly scanned Facebook's marketing infested 'newsroom' and didn't see any notification there. Parenthetically, this kind of discovery is a real Facebook issue. I've looked for this feature several times over the past few years. The last time I looked I found several old hacks that were either obsolete or insanely high risk. Why is Facebook such a mystery? Partly it's lack of documentation and feature churn, but, more importantly, geeks ignore Facebook. So my usual notification systems fail. Choose "Export Event". You can email a .ICS for the event, but, more importantly, you'll see webcal URL with an embedded unique identifier (token). Copy that URL and paste it into Google Calendar "Add by URL". 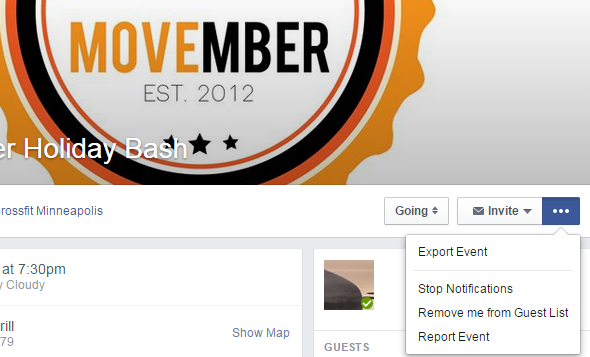 Suddenly Facebook Calendar is useful.